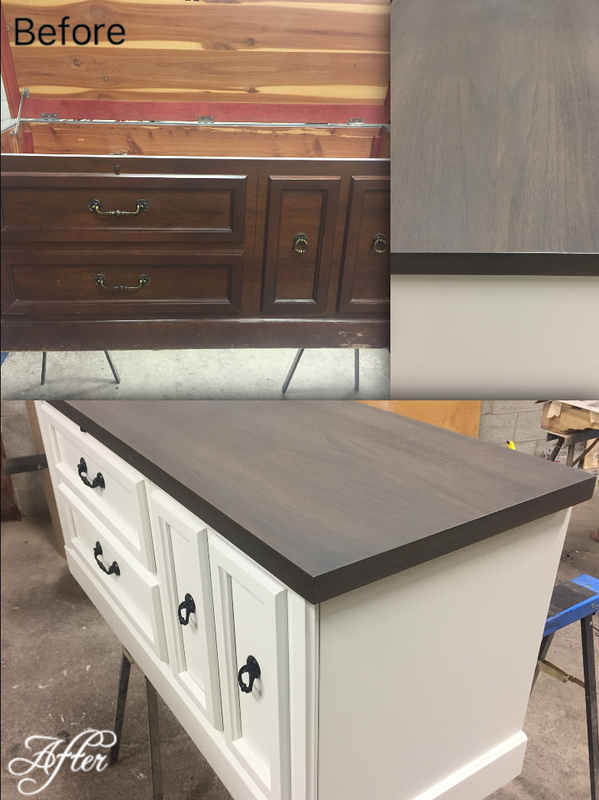 At Masters Wood Finishing, Furniture Refinishing is taken as an art, with passion and knowledge in the field, Masters Wood Finishing transformed this Huppe piece of furniture into a modern white chest. 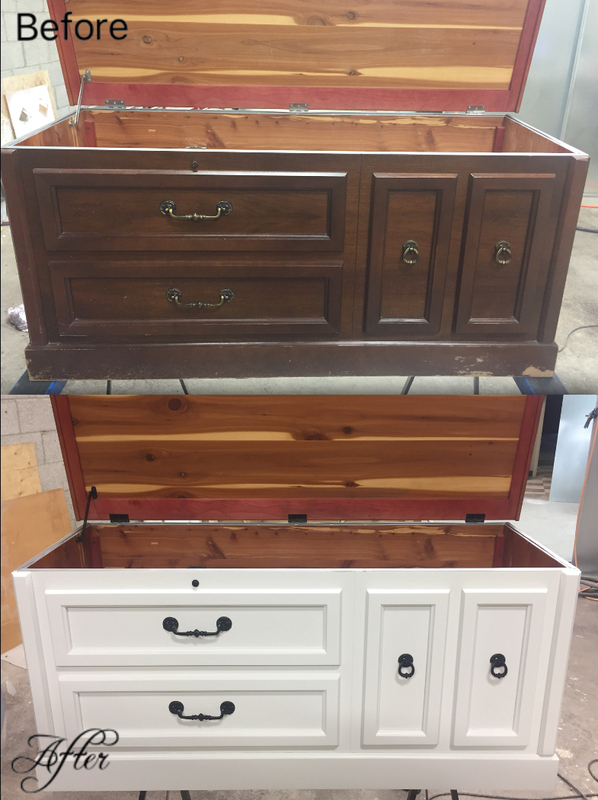 Our professional team restored this chest; having it transform from an old, worn-down, faded, and chipped/scratched brown stain to a beautiful modern refreshed white cedar chest with a smoked grey stained top, and black hardware. Don’t just throw out your out-dated old furniture, as our experienced team at Masters Wood Finishing can restore the beauty in it, changing it into a modern piece of art for your home decor. At Masters Wood Finishing the products we use for our Furniture Refinishing and Kitchen Refinishing are only the highest, most-durable products, leaving no fumes, having low VOC, and are environmentally friendly. Leaving each piece smooth and looking brand new.